Category capturing all the major technological breakthroughs in medical device space. How far are we from Digital pharma medicines? Apparently, not very far. According to recent article outlined in Outsourcing pharma, digital medicines are gathering more real time data to present their case of commercialization and scalability. Leading the trail is company Proteus , who has been in buzz for its ingestible sensor capable of monitoring patient dosage adherence and vital sign tracking post medicine intake. The company is set on a mission to make patient control and command his treatment even without being present in hospital set up. Now this is called taking control of your own situation. 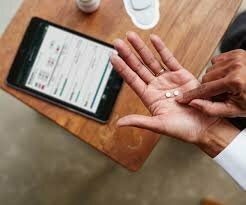 Proteus also believes that for patient to have more open discussion with healthcare provider, he or she must have access to real time data of how body is behaving to prescribed medicines. This is of prime interest, as it would pave way for personalized treatment at individual level. Proteus also highlights the manufacturing view of technology, where company acknowledges that this innovation could be embedded in current manufacturing process with ease. Some amount cross industry knowledge flow would be required though, as digital medicines are hybrid of semiconductor, electronics and pharma products. Technology and Company: Proteus addresses lot of current market gaps , and we think this innovation is really remarkable and holds tremendous opportunity for company and patients globally. Strengths : The company is leading a market which has just begun to explore new possibilities and avenues. With regulatory approvals from FDA and EU agencies company has not just materialized first mover’s advantage but also have bolstered it’s brand image in B2B market. Opportunities : Ease of platform’s integration with current manufacturing setup highlights the band of potential pharma clients that Proteus can approach in coming days. Innovation from Proteus believes in empowering patients and their families, and helping physicians and healthcare systems reduce risk. Now do we need to spell opportunities for intent or goal of this sort ? Should we doubt the future of 3D Printing? Cost is a major concern regarding 3D printing ,with skepticism revolving around 3D printers being too expensive for mainstream audience. We think it is not. With annual spend of pharmaceutical companies being close to USD 50 billion , spend that is channelized without awareness of what could be the potential return; 3D printing offers a assured ROI. This is mainly because of personalized offering angle that 3D printing brings on table. Close to 2 million tons of medical waste is generated every year, primary part of this waste is unused medical devices and supplies, this wastage can be directly avoided by 3D printing, as this manufacturing process produces products on demand, thereby shrinking inventory levels. While the inventory management and spend reduction remains as operational advantage points backing 3D Printing, reduction in error rates in surgeries, bio printing of organs are some technical advantage the process brings forward. To summarize 3D Printing is an amazing form of personalized medicine , where the providers are tailoring plans for individuals rather than one size fits all approach. Logistics service provider like UPS are putting their best foot forward to help this manufacturing process reach levels that it deserves. Content Outline Picked from MPO. Medical device companies generally enjoy gross margins anywhere in the range of 40% to 75%. Which means their spend (COGS) lies in the range of 25% to 60%. Though this range seems a little too much we were able to research figures for Orthopedic sector. Analysis by Avicenne highlights that Orthopedic behemoths operate at best gross margins of 70-75%. Further their spend which is 25% of revenue is divided equally between in-house and outsourced activities. While the entire medtech OEM fraternity plays at a outsourcing range of 25% as per recent analysis from PMCF, orthopedic has surpassed the outsourcing percentage to 49%. Old data from 2012 indicates for a combined revenue of 34.5 billion USD from orthopedic focused OEMs outsourcing to third party contract manufacturers was close to USD 3.7 billion. Thanks to below mentioned contract manufacturers who scaled their capabilities to a level, which provided OEMs with confidence to board on outsourcing wagon which is out speeding all its other counter parts. Further another graph below indicates why outsourcing for overall medical device industry still has good potential in coming days. There are still OEMs who are thinking about utilizing medtech CMOs capabilities for their manufacturing need, and if the CMOs are able to convince the decision makers the change in current 25% number is highly likely. We are referring to NAMSA’s recent expansion into Chinese markets. NAMSA is the only medical research organization that offers support through entire product lifecycle from design to market launch (Company has recently put up a beautiful video on its transition from CRO to MRO, URL: https://www.namsa.com/mro/medical-research-organization/). Though the operations of the newly started facility are based out of China, the goal of the facility is to serve as gateway for both domestic and global clients. While domestic healthcare companies can leverage the NAMSA’s capabilities to launch product in China (Almost all regulatory agencies, CFDA inclusive treat NAMSA’s name as synonym to good quality), global companies can extend their relationship with NAMSA to new APAC geographies in terms of launching their innovative products. Machine learning has been one of the buzz word in medtech arena. It basically uses pile of recorded data and deduces the current scenario at much faster pace, where the rate of analysis is much quicker than human deductions of similar situations. Recently entering this ball game is AliveCor and Mayo Clinic. The duo looks to tranform heart health management by merging their respective core strengths. AliveCor has mastered the art of heart health management through its electrode hardware systems, which has recorded close to 10 million ECGs. Going forward it looks to subject this data points to machine learning which will not just deliver quick solutions for healthcare ailments, but also benefit other organ treatments. What has been an interesting note is that ECG is linked to many other variables that can help treat kidney related ailments in much better manner than current therapies. These interesting developments just go about highlighting the fact that medtech innovators are not just all talk and no work. They are indeed running towards a smoother value centeric offerings. We are referring to EmbedTek LLC’s recent entry into finished goods supply of medtech devices. EmbedTek LLC has been for long delivering its services to medical device industry; however those service were limited to component level. Post getting FDA badge of contract manufacturer, it can now cater to finished good supply, which means, EmbedTek can now ship ready to use medical devices to OEMs doorstep. EmbedTEK has shed its previous image of outsourcing partner working on client specs, and has become strategic CMO ready to take joint responsibility of product quality and delivery. EmbedTek designs and manufactures embedded computers and integrated display solutions for original equipment manufacturers and ISVs. We leverage our expertise in computing, displays, software, wireless, I/O and controls to provide solutions optimized for our customers. We collaborate with our customers early in the process to create solutions that make their end product better. We leverage open standards and augment with engineered hardware and software solutions that enhance the performance of our customers’ end product. We also provide ongoing supply chain management services; delivering the product to our customer throughout the lifecycle proactively managing component obsolescence and product quality. The team at EmbedTek is experienced, professional, agile and customer focused. Global capacity of drug delivery and diagnostic disposables sees a recent expansion by addition of CTP’s manufacturing facility. While innovation in drug delivery has been on steady pace, joint alliances between medtech OEMs and contract manufacturers has been pretty much stagnant. CTP, along with expanding its annual production volume also struck a deal with BD for commercial launch of BD Vystra, a disposable pen for delivering insulin and other injectable drugs. CTP had previously supported Becton Dickinson with pilot phase of Vystra.